For many homeless children and the elderly, Delhi NCR’s winters are particularly harsh. It’s time to show we care and gift them warmth. We will distribute blankets to make this winter a comfortable one for them. Donating for the cause is very easy and convenient. A unit gift consists of Rs 500 which will help us in donating two blankets on your behalf. Donors can choose to donate in multiple units of 1, 2, 3 or more. 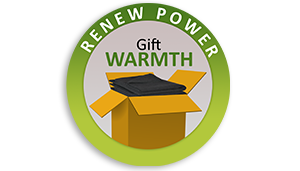 With the funds collected, iCharity, as a distribution partner, of ReNew Power Gift Warmth campaign, will purchase the blankets and distribute them to those who needs it on the streets of the NCR as winter sets in. icharity firmly believes that by commitment, people engagement and the usage of technology, it is possible to bring a holistic and positive outlook towards charity and volunteer work, to eventually benefit the disadvantaged.